Where to Buy Axxe Herbicide, AXXE Broad Spectrum Herbicide - 2.5 Gallons - $164.95 for Sale with Fast Free Shipping! 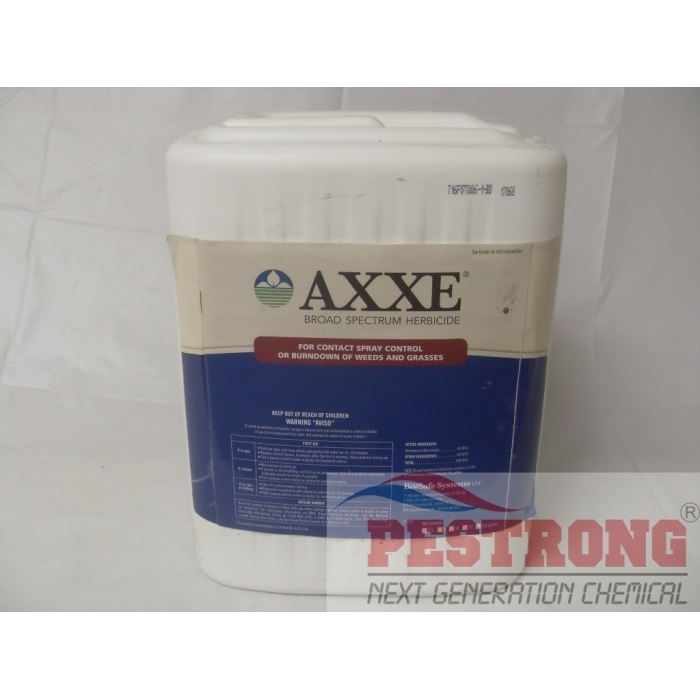 AXXE Broad Spectrum Herbicide - 2.5 Gallons is a non-selective, weed control for grasses and broadleaf weeds. It is formulated to deliver maximum performance and provide fast-acting results on a long list of weeds and grasses, as well as most mosses and lichens. It is a soap product that penetrates the cell walls of plants. This will disrupt the cellular organization of physiological functions that are compartmentalized by membranes within the cell walls. Plant growth ceases when cellular contents are mixed, which causes brown necrotic plant tissue. I've been having problems with weed and this product helped me greatly. The product is very effective and the price is pretty good. Great product and Pestrong has best prices online! I like orgainc due to 5 children. real fast work. good product.